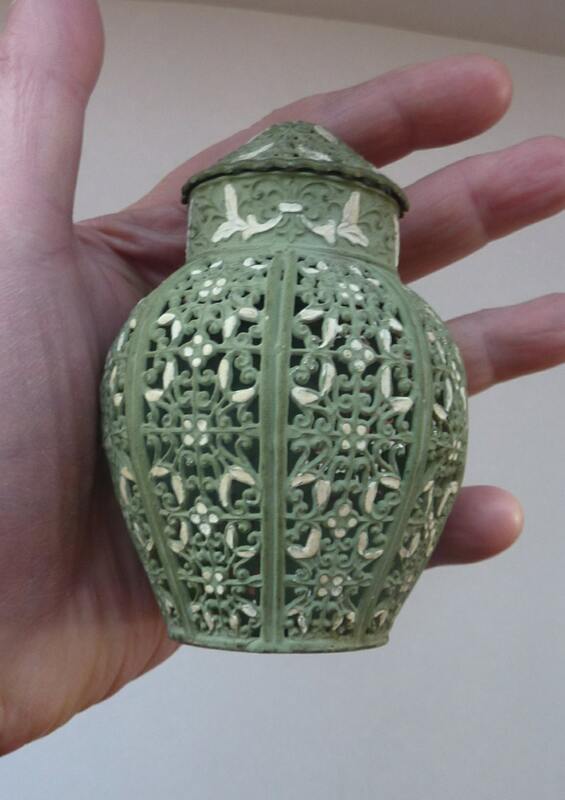 I love this wee pot - it is a most unusual little Art Nouveau one, dating to the 1920s. 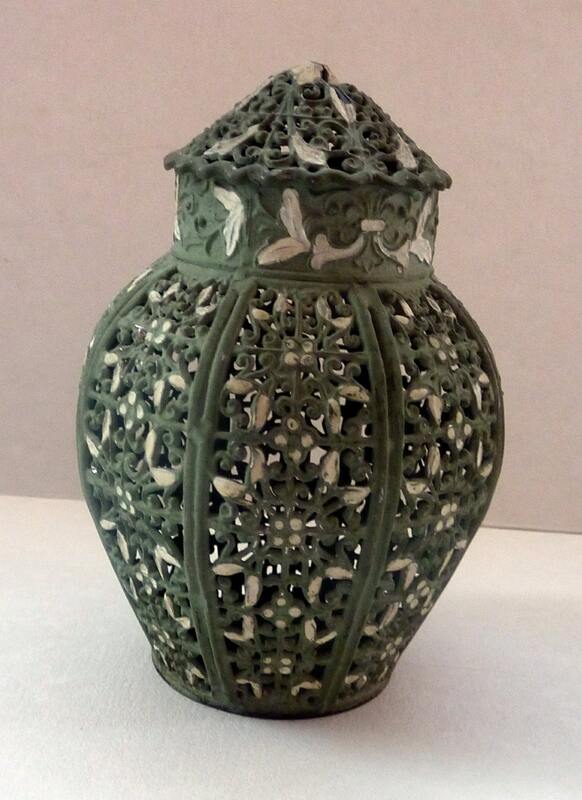 The little pot is quite Eastern or Oriental in influence and was made by J.N. 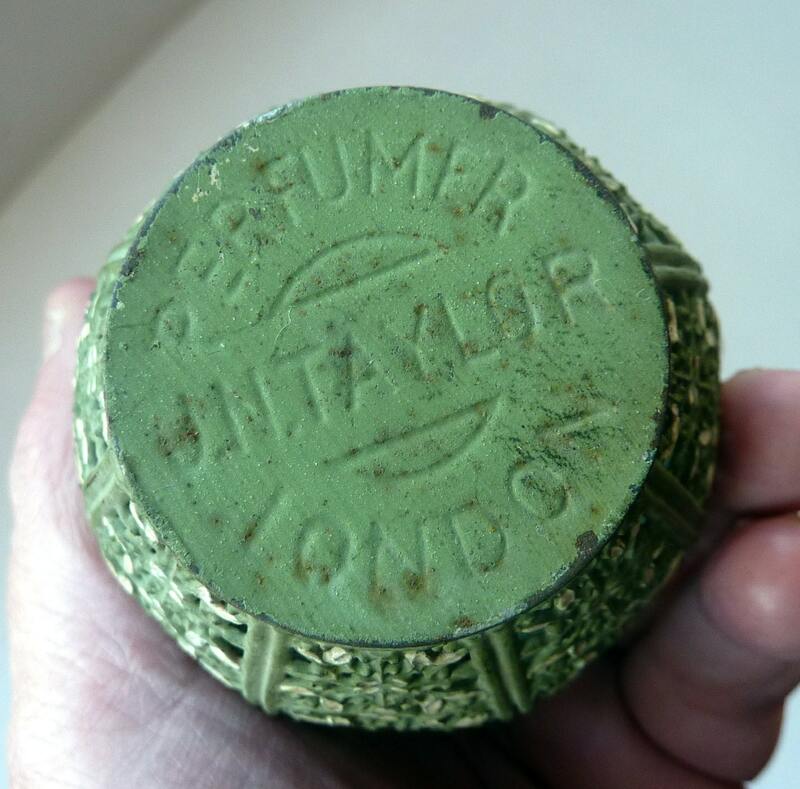 Taylor who was a perfumer based at 67 Mortimer Street in London in the 1920s. 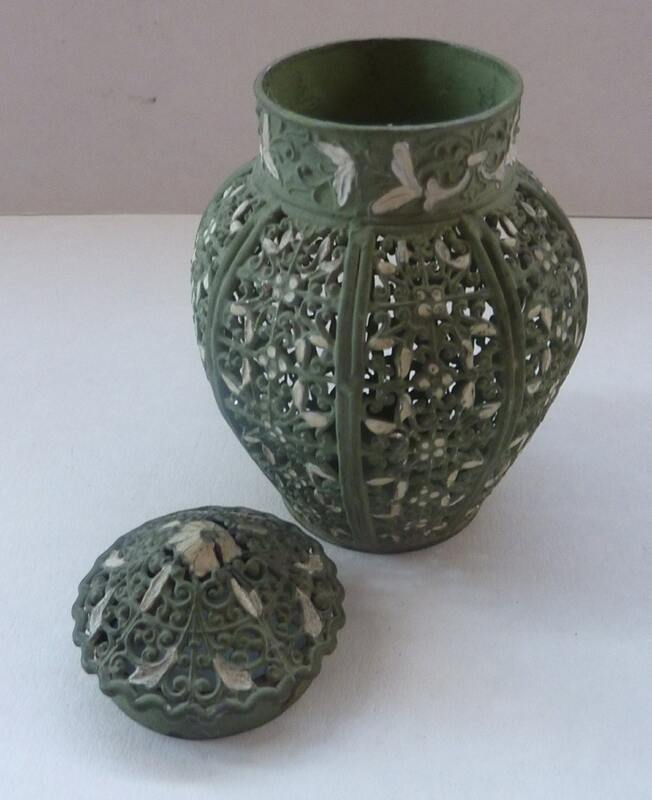 It is made of open filigree metal - which has been painted with a matt sage green enamel with cream coloured accents on the little floral accents. As you can see, in lovely condition - with no damages or nasty losses to the paintwork. Stamped with the marker's name on the base. 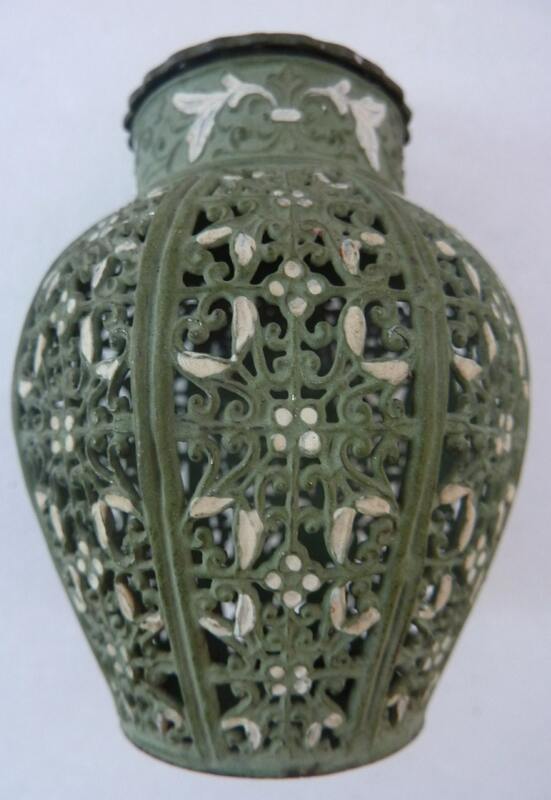 A lovely decorative piece - most unusual and rare to find in such lovely condition.